Buenos Aires is South America's liveliest and most cosmopolitan city, and you'll take in the city’s most memorable moments on this tour, including the grand architecture of Plaza de Mayo, Recoleta's iconic cemetery and bubbling La Boca. At Iguazu Falls you'll witness the grand cataract’s mighty power, and can choose to take an exhilarating boat trip to the thunderous base of the cascades. From there it’s off to explore Rio de Janeiro, with its sweeping sands, vibrant nightlife and spectacular setting. 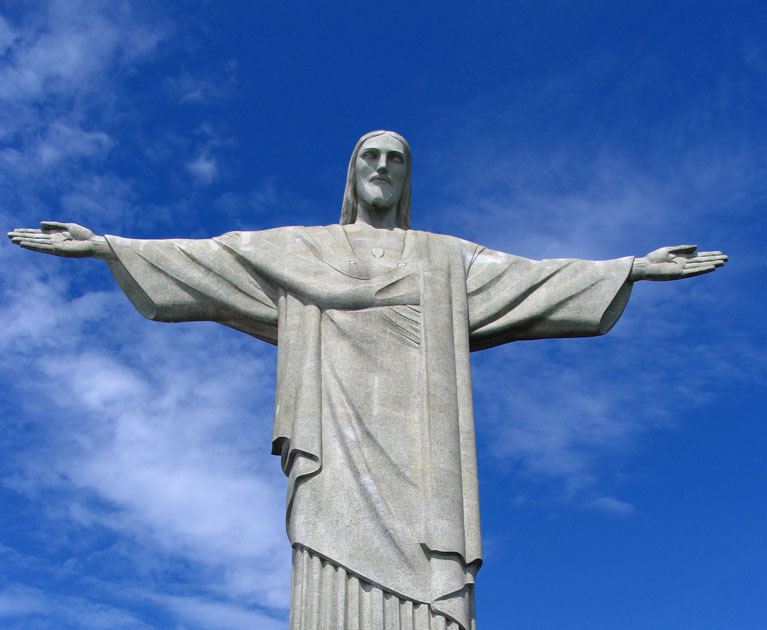 Take in Sugarloaf Mountain and Christ the Redeemer, as well as having plenty of free time to soak up Rio’s unique atmosphere. 12 Jun, 28 Aug, 11 Sep and 18 Sep 2019, subject to availability. Bienvenidos. Welcome to Argentina. Your adventure begins with an orientation walk around Buenos Aires’ Microcentro district at 1pm. Your leader will be waiting in the lobby of your joining point hotel. Pass by historic buildings along the Avenida de Mayo, including the Casa Rosada (Argentina’s government house) and perhaps have a coffee in the traditional Café Tortoni. Stroll around the picturesque streets of San Telmo and its antique markets. For those unable to arrive on Day 1 by 1pm for the walk, there will be a welcome meeting for the entire group so you can all get aquainted at 6pm. Please look for a note in the hotel lobby or ask reception where it will take place. We’ll be collecting everyone’s insurance details and next of kin information at this meeting, so ensure you bring these details to provide to your leader. If you’re going to be late, please inform hotel reception. Head out tonight and be swept away by the dance of love at an optional tango show. Notes: If you can’t arrange a flight that will arrive in time, you may wish to arrive a day early so you’re able to attend the welcome meeting. We’ll be happy to book additional accommodation for you (subject to availability). Enjoy a morning exploring some of Buenos Aires sites with your guide, including the Recoleta Cemetery – the final resting place of some of the city’s most famous residents and walk among the tombs and monuments. 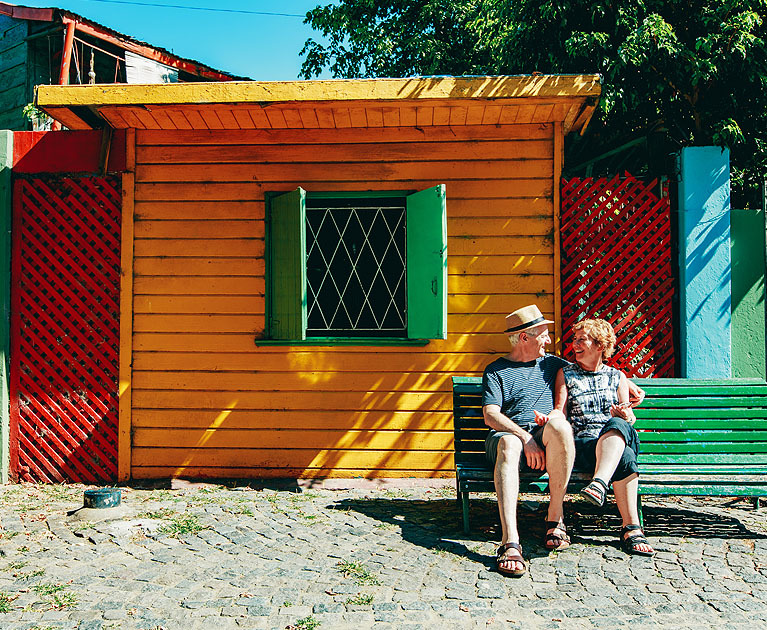 Walk around La Boca and its well-known ‘Caminito’ district, before moving on to the lesser-known side of this colourful neighbourhood to visit an artist’s gallery. Next, wander the cobbled streets of San Telmo and finish the tour getting to know the most iconic place of Buenos Aires and maybe even Argentina: ‘Plaza de Mayo’. Stop for a group lunch at a local NGO, Abriendo Caminos, a social project dedicated to empowering local women by teaching them how to make alfajores (a local delicacy) and employing them in the factory and selling Empanadas since 2001. After lunch, get ready to be captivated by Argentina’s most famous dance; the Tango. In a private space a professional Tango couple will explain the dance’s origin and history, as well as demonstrating the intimately fluid movements for you. You will then be invited to join an hour long beginner’s class to learn some of the basic techniques and understand the rhythm. Today, in the morning or late morning, fly to Puerto Iguazu in Argentina (2 hours), gateway to the mighty Iguazu Falls. Spend the next two days exploring the falls in depth, seeing them from both the Argentinean and Brazilian sides. The falls are two kilometres in length, and are made up of 275 waterfalls in total, some of which stretch up to 80-metres-high. This makes them both higher than Niagara and wider than Victoria Falls. The Brazilian side of the falls offers great panoramic views of them. For birds-eye views of the falls, you can take an optional helicopter flight over the top of them. Make an early start, 7.30 am, to visit the Argentinean side of the falls today, which has boardwalks allowing you to get up close and personal with these towering rapids. Choose to get an even more exhilarating look at Iguazu with an optional zodiac boat ride below the falls. Later, at about 3 pm, you’ll have to chance to accompany your leader on a visit to a Guarani community. Return to the hotel at approximately 5 pm. Today cross the border into Brazil and take an included flight (two hours) from Foz do Iguacu to Rio de Janeiro. Witness the intense green of Guanabara Bay and the beauty of the surrounding slopes of the Corcovado and Sugarloaf that make Rio such a majestic place. Take in the ever-present Portugese influence here, which is especially apparent in the opulent buildings constructed when the Portuguese monarchy fled Europe under the threat of Napolean and took up residence here. Be struck by the contrast between this extravagance and the destitute poverty of the favelas. The white sands of Cobacapana and Ipanema beaches offer an equally interesting snapshot of local life. For some world-renowned live music, Lapa is the place to go and join the locals for some serious dancing. It’s an early start this morning, as we embark on a full-day guided tour of Rio. Starting at Corcovado Mountain for sweeping views over Rio from the base of the Christ the Reedemer statue before the crowds arrive. Discover the eclectic architecture, restaurants and art galleries of the artistic neighbourhood of Santa Teresa. Then continue on to by the famous Selaron Steps to see artist Jorge Selaron’s gift to the Brazilian people. We then stop for lunch, which will be a typical dish called Feijoada, a stew of black beans, kale and pork. We finish the day with a a walking tour of the Port area. This area, a little more off the beaten track, has been recognised for its cultural and historical importance as it was a main Port for the slave trade in Brazil. We will be joined by a local guide from the Pretos Novos institute, which aims to preserve the cultural heritage found in the Port area. On the walk, learn about the story of how the African slaves arrived to Brazil, the horrific conditions they endured on the journey over, how they were sold and, eventually, how they resisted and became free. Their story is intrinsically connected with the history of samba and Brazilian culture. Expect to be finished around 4 pm. Your trip comes to an end after breakfast this morning. Please note that you are required to comply with any internal hotel check-out rules before departing. Advertised prices are person twin share, tour only and correct at time of publication and are subject to availability and change at any time without notification due to fluctuations in charges, taxes and currency. Offer is valid on new bookings only. ^Bonus is included in the advertised price. Receive a free Urban Adventure up to the value of $150. Deposit of $600 per person per trip is required upon booking. If booking within 56 days of departure, full payment is due immediately. Urban Adventure cannot be transferred to another person. Urban Adventure offer is not redeemable for cash, and non-refundable. Qantas Frequent Flyer (‘QFF’) members are able to earn Qantas Points when they book an eligible Peregrine Adventures trip. Customer will earn 1,000 Qantas Points per eligible trip. Qantas Points will only be earned on transactions that occur after adding your Qantas Frequent Flyer membership number to purchase. Please contact qantas.com.au to check your membership details. Other conditions apply. Please contact your personal travel manager for full terms and conditions.